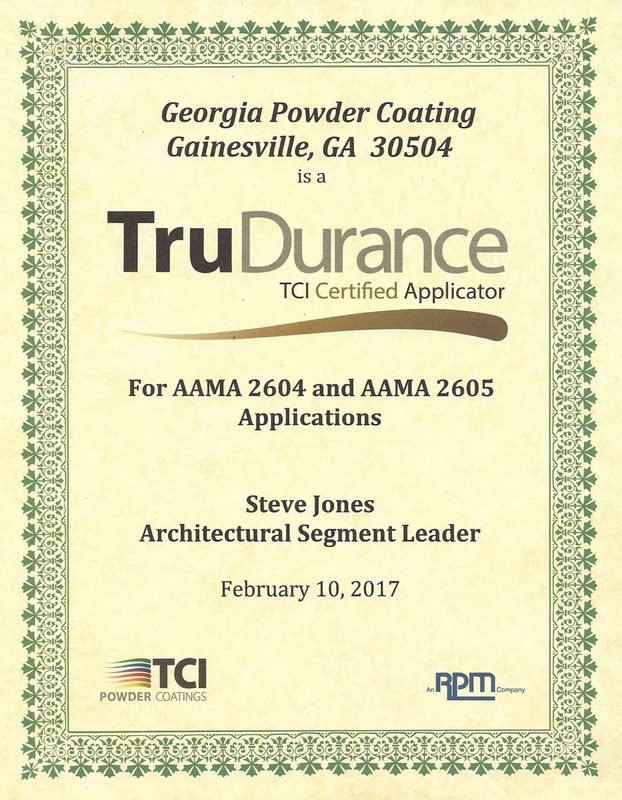 TCI Powder Coatings will be implementing an adjustment in its selling prices to offset sharp increases in the cost of materials. While the price adjustments will be product specific, it is expected that the overall impact will be approximately a 5% increase. “We work intensely to build a strong partnership with vendors to assure supply, quality, and innovation in our materials. We intend to always provide the best value in the coatings solutions we develop for our customers." Polyester, epoxy resins, and titanium dioxide are primary components in many of the company’s products and significant drivers of the cost increases. Global demand for these materials has been strong, while supply has been restricted by plant outages and reductions in capacity from major producers. We know you’re ready for the winter season to be over. We are too! 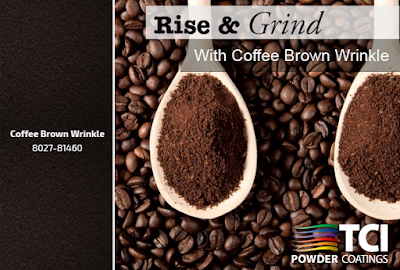 Rise and grind and stay awake during these last few cold days with a hot cup of coffee! This month, we’re featuring Coffee Brown Wrinkle. This color is perfect for your powder coating needs, especially on metals such as valve covers where imperfections need to be hidden. 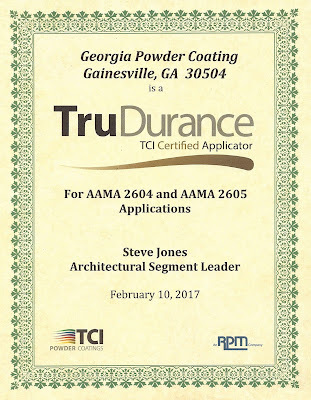 Congratulations to Georgia Powder Coating of Gainesville, GA on becoming a TruDurance TCI Certified Applicator for AAMA 2604 and AAMA 2605 applications! At TCI, we have one of the most extensive and comprehensive auditing programs in the powder coating industry. Our field technicians are trained to evaluate all aspects of a powder coating operation to determine whether the customer can meet AAMA requirements. During the audit, we run a variety of tests to assess how our powders perform in your process. We will then conduct annual renewal audits to ensure the process parameters have not changed without notification. Interested in becoming certified? 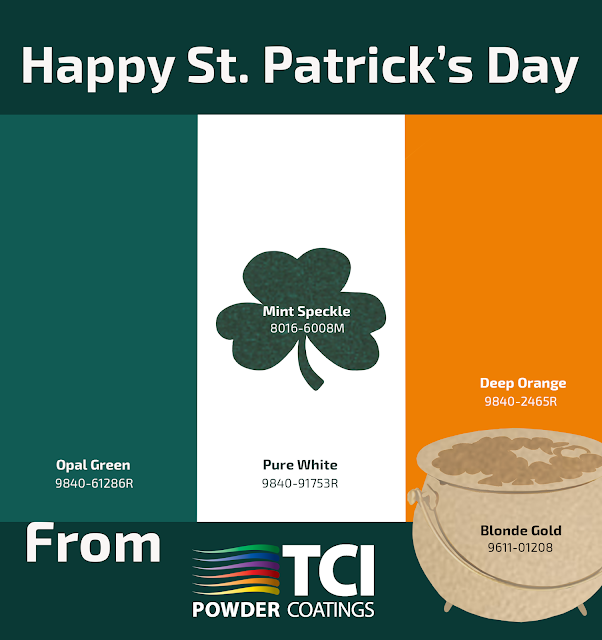 Email us at customerservice@tcipowder.com or call 800-533-9067. For more information on Georgia Powder Coating, visit their website here. At TCI, we love Tuesdays! On Tuesdays, we get to showcase quality work from our customers, and promote their work on our several social platforms. Since the campaign has been such a success so far, we have decided to conduct a contest for custom coaters to participate in! 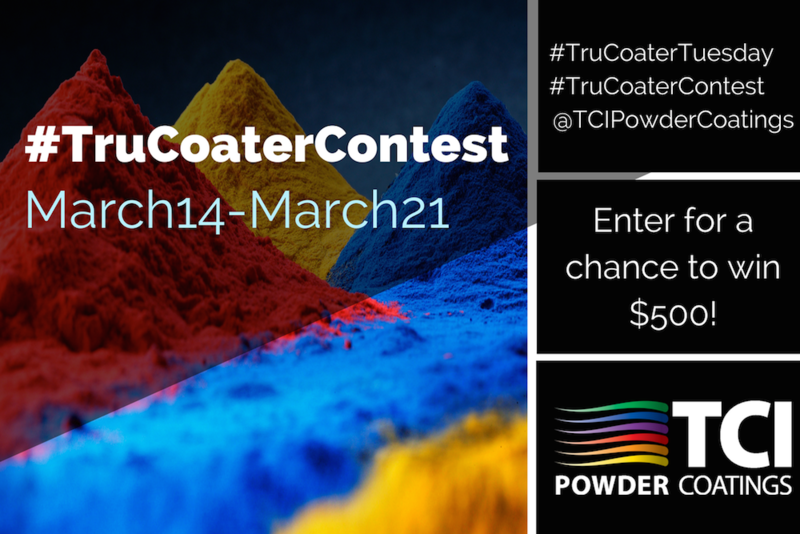 Entering this contest will give coaters the chance to submit a photo of their best TCI powder coated part and a chance to win a cash prize! Below are the contest details and guidelines, so that you, the coater, can have the best chance at winning! The winner will receive a $500 Visa Gift Card by mail no longer than 3 weeks following the conclusion of the contest. The winning company’s post will be re-tweeted and reposted on our other social platforms of LinkedIn, Google+, and Twitter. The winner must be a company profile or the profile of the CEO/leader of the company, representing that company. 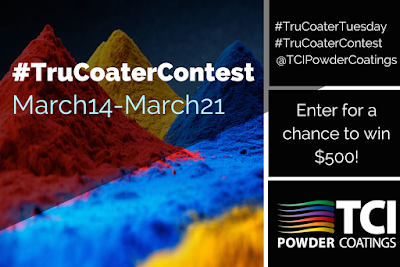 The winner must have used TCI Powder Coatings to coat their pictured product. This contest is not enforced or promoted by or with Facebook. Do not create multiple accounts in order to submit contest posts.